Looking "where to sell my 1978-95 Porsche 928?" Ask the Chicago Car Club! Are you wondering "where to sell my 1978-95 Porsche 928 ?" The Chicago Car Club is interested in classic cars of all makes and models, especially a 1978-95 Porsche 928. We make the process of selling your 1978-95 Porsche 928 quick and painless. In just a matter of hours we will have your classic valued and, if you do so choose, turned into money in your pocket. All it takes is a phone call or electronic inquiry to get the ball rolling. The 928 was a luxury GT built between 1978 and 1995. It was originally intended to be a replacement for the 911. It was one of the few front engine cars ever produced by Porsche. It was the only coupe powered by a front mounted V8 engine. Managing director Ernst Fuhrmann envisioned the car to start a new line of cars that had the elegance of a luxury sedan blended with the excitement of a top-end sportscar. 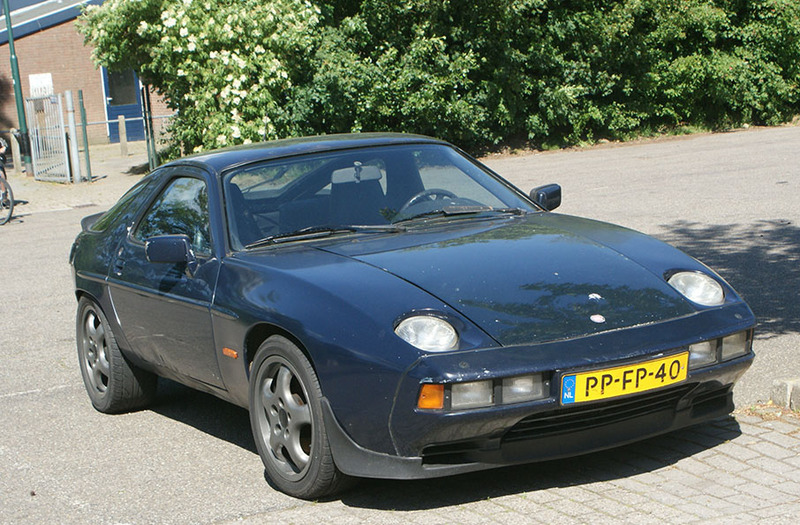 Porsche decided to make the 928 into a front engine car for several reasons. Having the engine, catalytic converter and transmission all in the rear of the car, like the 911, caused noise issues. Also they were concerned that the US would soon ban rear-engine cars. This was because of the scorn heaped upon the Chevy Corvair, because of the Ralph Nader’s book, “Unsafe at Any Speed,” which pointed out safety issues in the Corvair that many blamed for accidents and deaths. The prototype initially had a 5-litre V8 producing close to 300 hp that used natural carburation. However in the production vehicle fuel injection was used. When the car was released the gas crisis was in full swing. There was much debate at Porsche to follow the trend towards smaller, more fuel efficient engines or to go with a larger engine for the 928, to go for a high performance car. They finally settled on a 4.5 liter, 16-valve V8 with a Single OverHead Cam per bank, producing 240 PS (180 kW; 240 hp) or 219 hp (163 kW) in North America. After all the debates and changes, the end result was a car that was well balanced that handled well. Even though sales were sluggish, it won the 1978 European Car of the Year.